Brand new Audiolab M-DAC+ / M-DACPLUS! Brand new M-DAC+ from Audiolab. 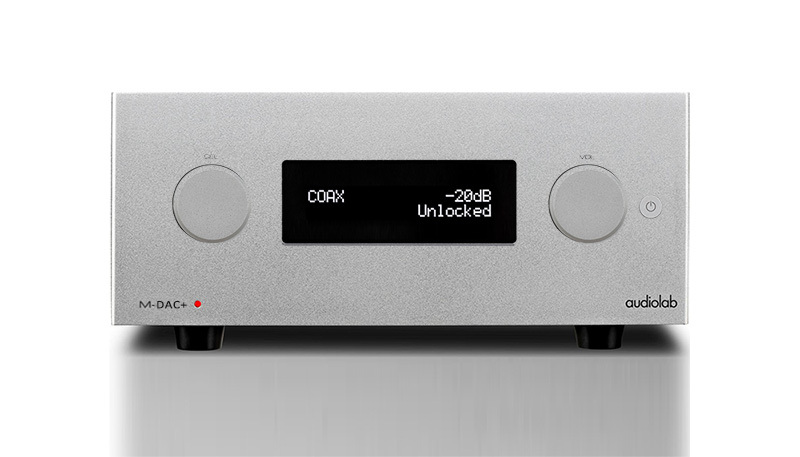 The well reviewed M-DAC got a newer big brother, called M-DAC+. As far as we been told, the retail should hit around 995£, and the current MDAC should continue, and then the MDAC+ is the “better” version. M-DAC+ is a not only a big brother in terms of performance and features, it is also a bigger psychical version. Now with two big knobs instead of normal buttons, like the ones we’ve seen on the 8300A, and a small round turn off button, also like the 8300A. As its predecessor M-DAC, it is equipped with balanced XLR output, but AES digital output, and AES input has now been added. Here at Audiophiles.eu we can’t wait to get our hands on one of these units to see if they could take the notorious M-DAC/8200CD a step further! Looking for a release date for the Audiolab MDAC Plus? any news would be great. As far as I am informed, then it should hit streets around late august / start september.